Click below to view color samples for both our indoor and outdoor padding. 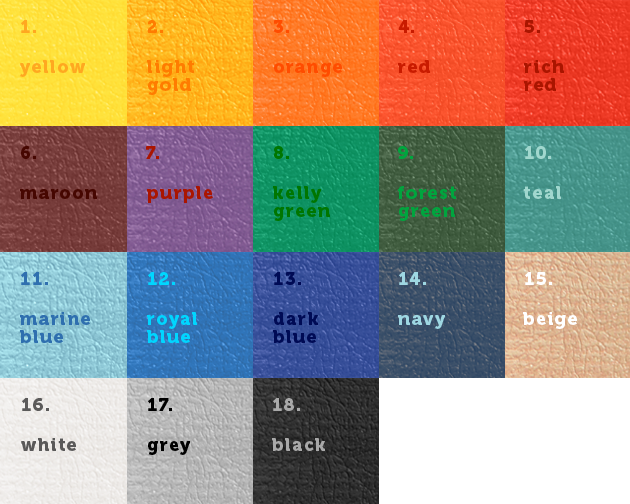 Please refer to SofStop color chart for actual colors. Fabric samples are available upon request..